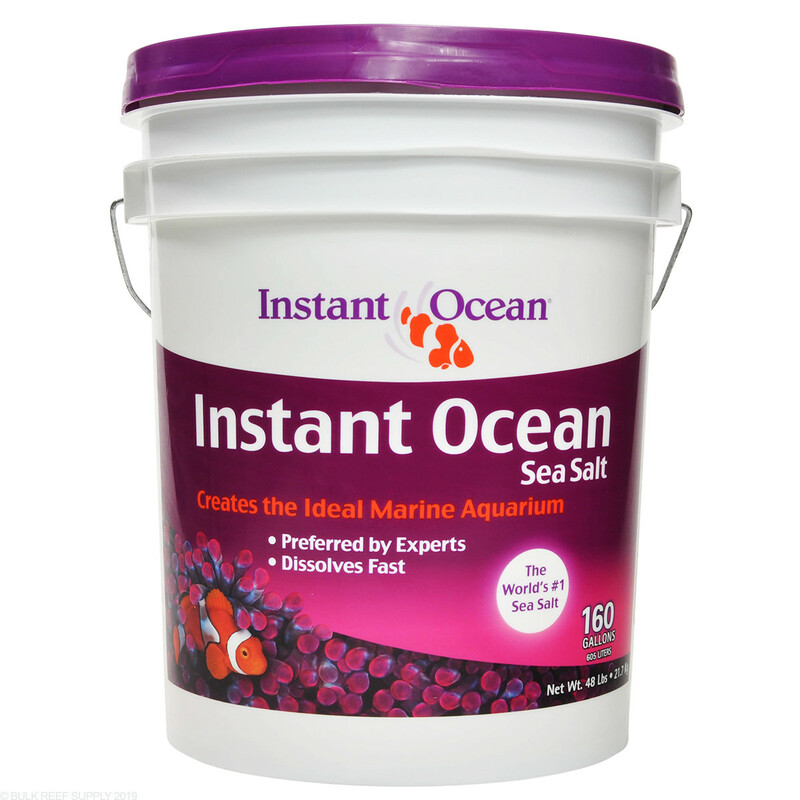 Preferred by aquarists for over 40 years, Instant Ocean Sea Salt Mix is enriched with major, minor and trace elements. 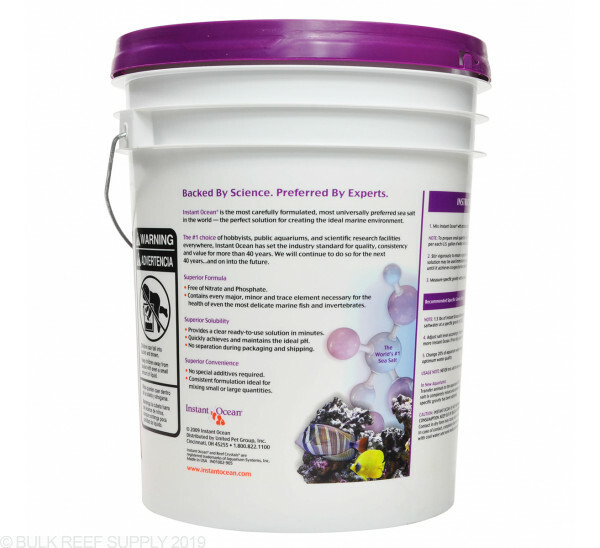 Facilitates the growth of corals and other invertebrates in a reef aquarium. Easy to use and exceptional solubility. 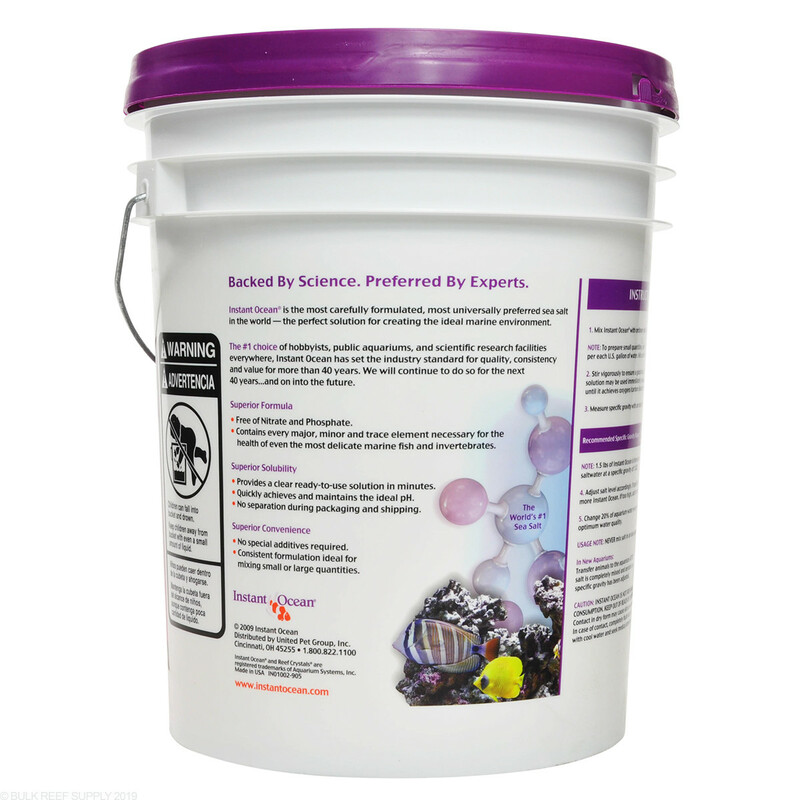 Instant Ocean synthetic sea salt simulates natural seawater for thriving marine aquariums. 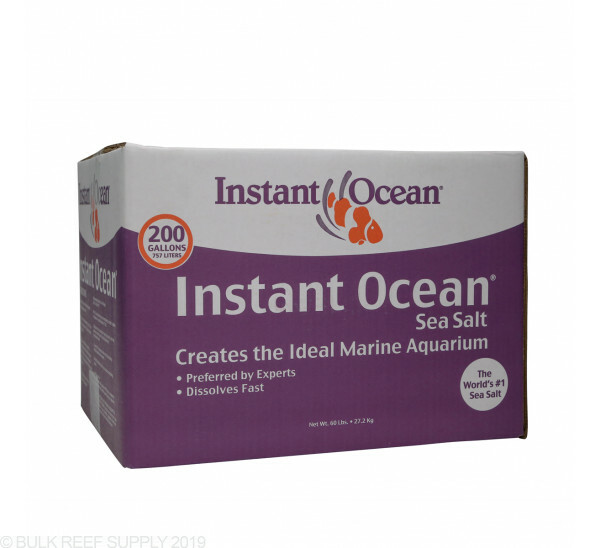 Developed through sophisticated biological and chemical testing, Instant Ocean provides your marine fish, invertebrates, and plants the necessary major, minor, and trace elements. 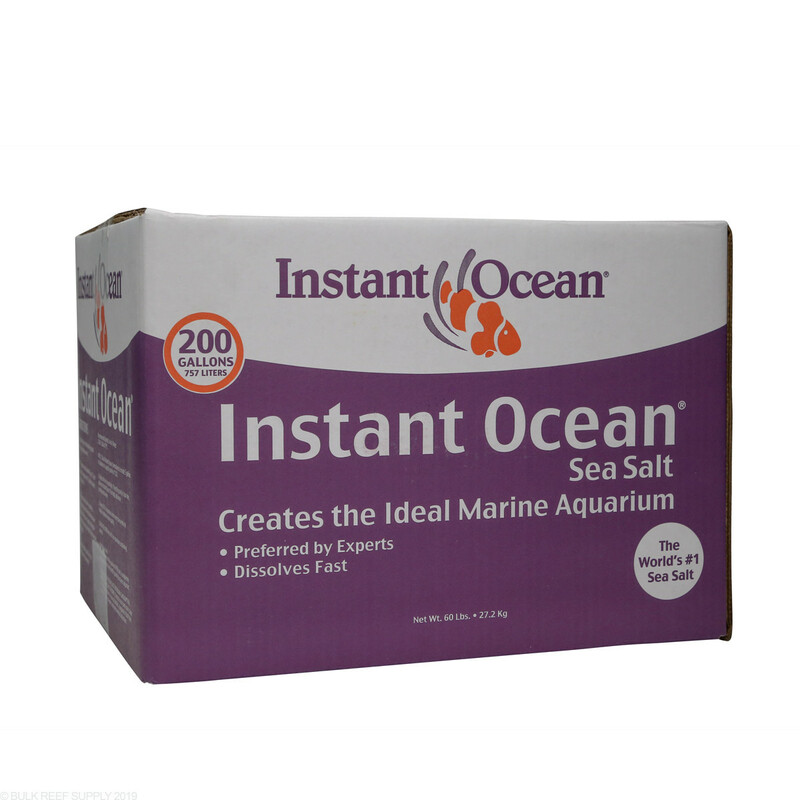 Exceptional solubility, uniform particle size, and superior material selection made Instant Ocean the standard by which other synthetic sea salts are measured. No other product has such an extensive history of successful proven usage. 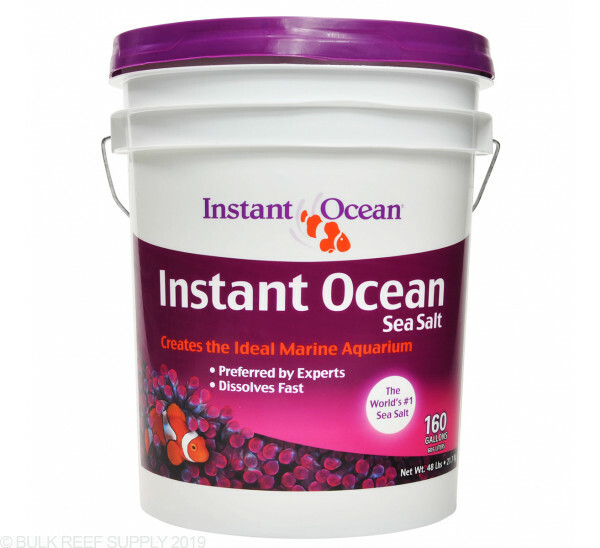 I use this salt for my mix reef sps dominated tank,gives me the exact parameter of natural sea water on every mix. Don't need elevated calcium or other element because I am running a calcium reactor, all my corals have crazy polyps extension. Have tryed other salts but always return to Instant Ocean. Dose 1/4 the supplements with IO than others. Tryed other salts and always had to up my alk, cal, & mag. Sometimes by 5. So not only dose it have an attractive price point but I save on supplements also. Had some zoas brown out on me while trying another brand of salt. Switched back to IO and color came back so I will always use IO. I've been using IO for years. 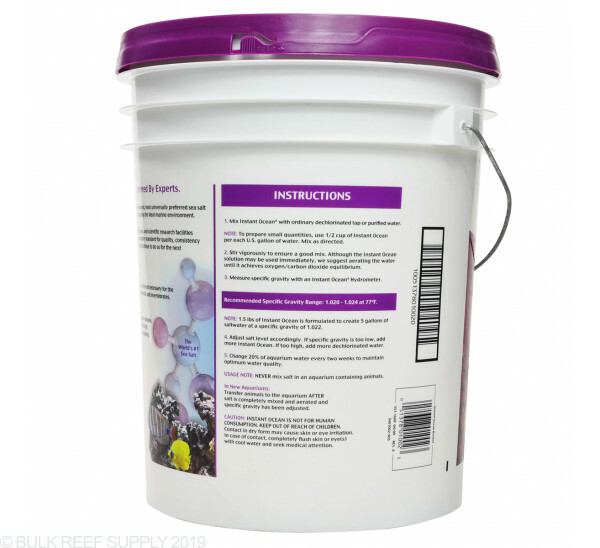 Always mixes well and have no problems with fish or corals. Dissolves fast. Not much chelator crud if any left in bottom of mixing bin like omega salt. I used it to mix with reef crystals. 70% regular, and about 30% reef crystals, tested out to be about 420 ca, and 1350 magnesium. Good way to spare some coin. I have always used this salt with good results. Great salt mix, dissolves easily. I ordered the 200 gallon box and it arrived in great condition. 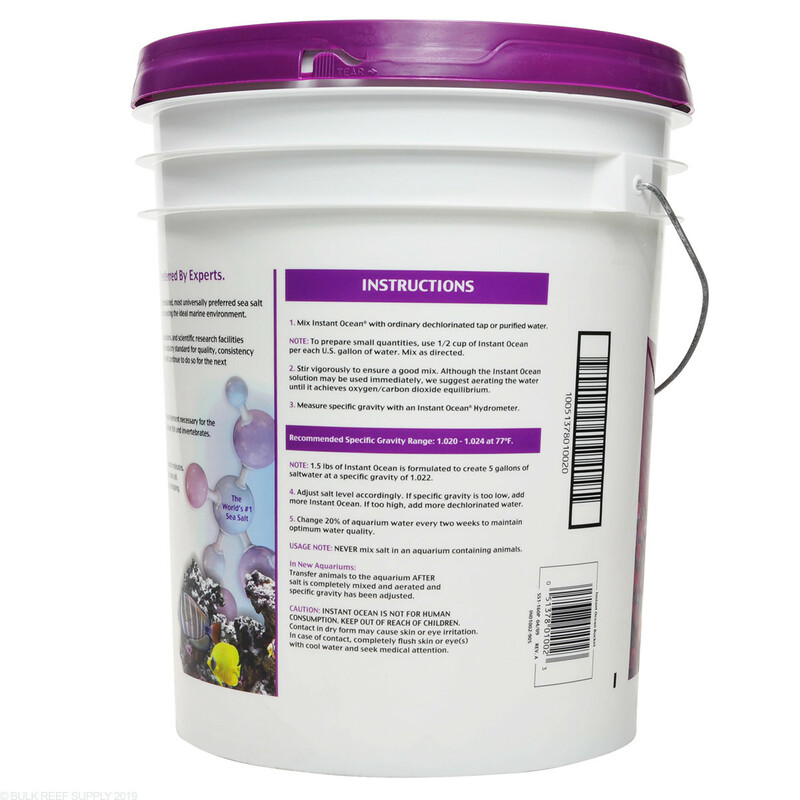 The box contains 4 or 5 smaller bags of the mix so you only have to open a bag when you need to use it keeping the rest safe from moisture and clumping. I've been using IO for about 5 years now and have never had any problems. DKH, CAL, and MAG are always spot on for me. Excellent product fast shipping thanks! Im a newbie and used it very easy to use the only problem i see and that i have with it is that i cant seem to get pH high enough with only salt. Previously used Reef crystals. This salt dissolves more quickly. Easy to use. This is the salt I prefer because it gives me less of a headache when trying to maintain proper levels using an addition system (such as dosing or reactor). Other salts with artificially elevated levels always seem to make my dosing go out of whack. I purchase the 200 gal box, which contains 4 individually sealed 50 gal bags - open only 1 bag at a time and avoid clumping!